The Journal is the official publication of the Missouri Fox Trotting Horse Breed Association and is the only magazine dedicated solely to the Missouri Fox Trotting Horse. This full color publication contains news and information about the people and horses that make up our wonderful breed. MFTHBA Members and Affiliates are encouraged to submit articles! Do you have an interesting story about your involvement with the Missouri Fox Trotting Horse? Is your registered Missouri Fox Trotting Horse competing in all-breed competitions? Do you have an exceptional photo that you think is worthy of being published in the magazine or even on the cover? The Journal is always on the lookout for interesting stories and outstanding photos that help illustrate the versatility and beauty of our amazing breed. To submit an article, send it to Jen Gaffke, Journal Editor, at 417-225-0588 or blossomridgefarm@gmail.com. Please note that all submissions (including advertising) to The Journal are subject to editing by magazine staff. Publication deadline is the 5th of the month prior. If you would you like to communicate your message to thousands of Missouri Fox Trotting Horse owners and enthusiasts, then you might consider advertising in The Journal – the only publication dedicated to the Missouri Fox Trotting Horse. Please contact Jen Gaffke, Journal Editor, at 417-225-0588 or blossomridgefarm@gmail.com if you want to place an ad for publication. To place a classified ad, please contact the MFTHBA office at (417) 683-2468 or foxtrot@mfthba.com. Classified ads are placed in the Journal as well as on the Classified Page of the MFTHBA website. New advertising rates are listed below for your convenience. Classifieds are $15.00 per month for the first 30 words then $.35 per word after. All rates are for camera-ready ads. 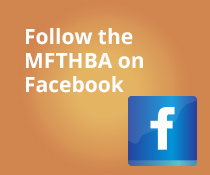 Contents of the MFTHBA Journal are expressive of opinions in agreement with the elected MFTHBA Board of Directors and are published as a service and communication to MFTHBA members.